Congrats, Kenny! 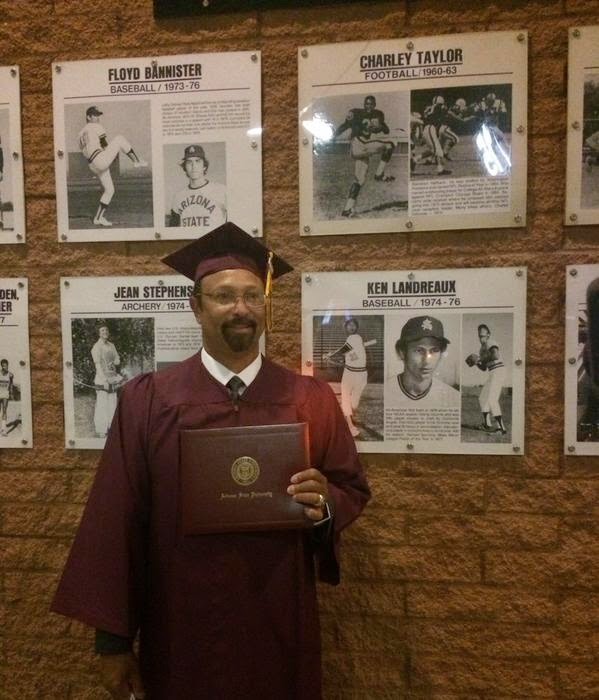 Fulfilling a promise made to his mother, former Dodger Kenny Landreaux graduated from ASU earlier this week. Photo above via @camelbackranch on twitter. Listen to last nights Dodger Talk with David Vassegh and Kevin Kennedy, here. Via AM570 Radio, listen to Brandon McCarthy on the Petros and Money Show. Via David Golebiewski at the Daily Gammons, "Brett Anderson’s $10M Slider." Anderson generated ground balls 62% of the time with his slider from 2012-14, trailing only Felix Hernandez (66.3%) among starters throwing the pitch at least 500 times. Looking at his pitch location, it’s easy to see why. Anderson frequently spots his slider low in the zone, to his glove side. Via Mark Saxon at ESPN, "Moves have makings of a master plan." Considering it’s still December and games are nearly four months away, you can argue the Dodgers haven’t improved their chances in 2015, but it’s hard to argue they haven’t had a vision. As Friedman said over and over at his introductory media conference, it’s about trusting the process. Via Eric Stephen at True Blue LA, "Dodgers, in need of catching, see December trade fall through: A history." As we wait for the Matt Kemp trade with the Padres - and its sidecar transaction, Jimmy Rollins from the Phillies - to become official, here is a look back at a December Dodgers trade that ended up not coming to fruition. 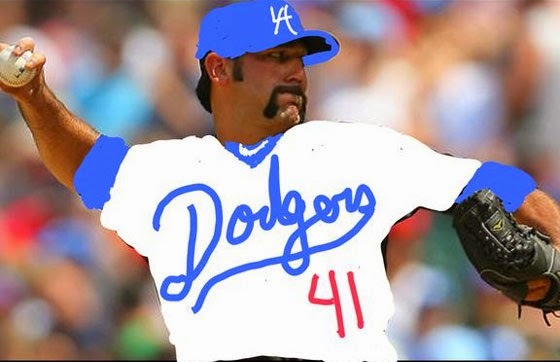 The cartoonish artistic stylings of our newest Dodger players just won't stop. Featured above is a creation made by Dodger fan Ernie Villa on twitter. So naturally, I had to make a fantasy Baseball card of it that you can see below; using the 2007 Topps Baseball design. I wonder when this viral sensation will become a virus. As you've heard by now, President Obama is moving toward normalizing relations with Cuba. Politics aside, I wondered how this effects Baseball. @MLB_PR on twitter released as statement addressing this. Check that out below. I also wondered if we may one day see ballclubs play exhibition or spring games there again. Wouldn't that be a blast. I wonder what Tommy and some of the other older Dodgers would think of that.